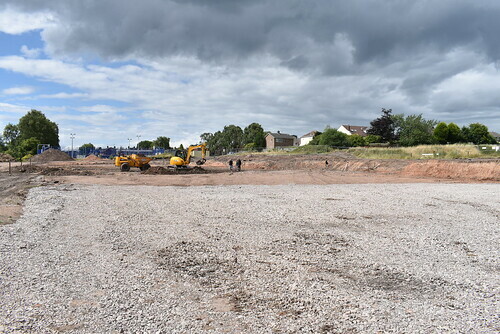 Phase one of the £1.3 million development on the Stadium site in Pye Green is now complete. The official opening launch took place on Wednesday 19 September. This exciting new development includes a new adventure play area, car park, footpaths cycleways, lighting, landscaping, BMX pump track, community allotments and allotment building, green gym equipment, new entrance gates, fencing and CCTV. The BMX pump track, completed in the summer of 2017, is already proving extremely popular with local young people and community groups. The track is already attracting visitors from outside the District. It even has its own Facebook page. The community allotments and building are also complete and are being let to residents and community groups. CCTV, lighting and various green gym equipment has been installed. Works on the adventure play area, tarmacing pathways and three running tracks (marked as black, red and white) are also complete. There are new entrance gates and fencing on the Pye Green Road. This community sport and recreation hub offers facilities for the whole community and across all age groups thereby helping to support the Council’s corporate priority for better health outcomes, by providing opportunities to become more active. These facilities are in addition to the already completed junior and toddler play area, ﬁnished in March 2015 and Multi-Use Games Area (MUGA), completed in March 2016. Blakedown Sports and Play Limited were appointed as main contractor to deliver these works which started on Monday 22 May. The video below shows the progression of works from the very beginning. 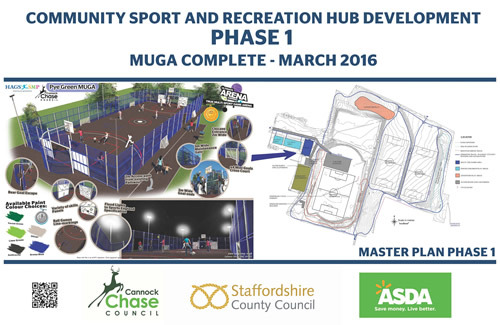 Work on the multi use games area (MUGA) started in February 2016 and was completed in March 2016. 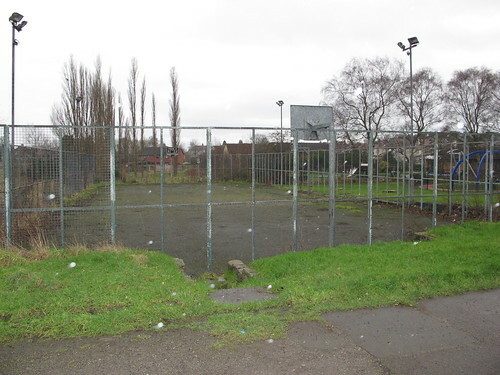 The MUGA will enable children between 11-16 years old to play recreational football, netball, basketball and cricket in a purpose built floodlit area. The design elements of the MUGA were chosen following a consultation in December last year with local schools, including Hednesford Valley High and Staffordshire University Academy, who chose elements such as the skills panels and the colours. 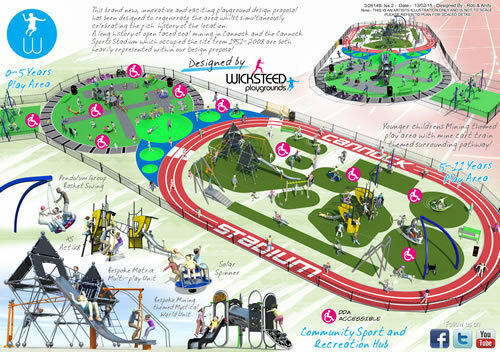 The design of the play area incorporates ideas and view from local schools following a consultation as well as capturing the mining history of the area and the previous history of the athletics track.